How can insurers meet increased customer expectations at a lower cost? AI-powered care delivers on a future vision of customer service with an opportunity for savings of 30 percent by, for example, driving customers to digital experiences. In this post, I will explore how to apply AI using an intelligent customer engagement (ICE) framework. How can your insurance company increase its artificial intelligence quotient (AIQ) with a balanced innovation strategy? In this blog series, I’m exploring the myriad ways in which AI adds value to financial services in general and the insurance value chain in particular. In my previous post, I defined the term AIQ and I revealed and discussed three key ingredients to building a strong AIQ: technology, data and people. In this post, I’ll take a close look at one of the key areas in the insurance value chain—sales and distribution—and explain how AI-related technologies can add value to this function. But first, I want to reiterate the value of AI and why it’s important to transform your business into an AI business. Why a strong AIQ is vital for your business—and why you need a strategy first. Most of what’s written about AI relates to cost-cutting and job losses, but as we saw with the example given in regards to the health industry in the previous post, AI is a much more optimistic story. Its greatest benefits are not only efficiency and productivity, but innovation, improved customer and employee experiences, and the development of new sources of value and growth, especially when it is used to augment human capabilities. However, to gain these benefits and to identify relevant use cases, it is necessary to develop a cross-enterprise AI strategy that clarifies the strategic goals: the whys, the hows and the whats of the business model leveraging our “AI strategic approach”, as outlined below. How can insurers use AI in sales and distribution? When it comes to deciding which AI to employ, insurers need to focus on the things that AI and humans do best together. 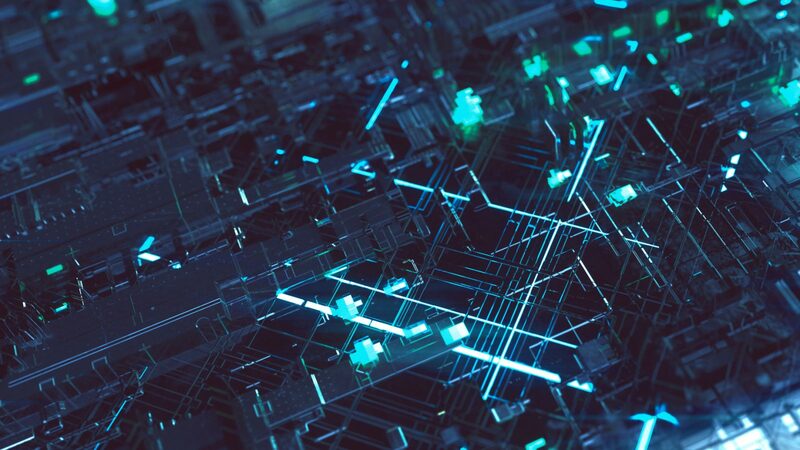 When AI is combined with human ingenuity across the enterprise, it can help solve complex challenges, develop new products and break into and create new markets. In sales and distribution, insurers can use data analytics to improve customer engagement. I will discuss intelligent customer engagement further in the use case below. 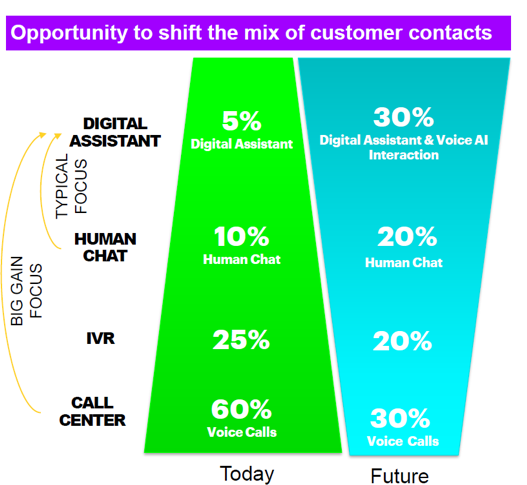 Accenture’s virtual advisor Cathy (Cognitive Agent to Help You) is a self-learning virtual agent that responds to customer queries by extracting information from a back-end database. Cathy is always learning more as it consumes human-agent interactions and stores knowledge on its database, enabling it to make automated product recommendations based on customer profiles. If a more complex customer request arises, Cathy seamlessly transfers the request to a human agent. Insurers can boost their sales and distribution by using machine learning to analyze customer personality and tone. Machine learning makes selling (and buying) insurance easier than ever—virtual agent Amelia, for example, can give customers a motor insurance quote immediately, without the need to speak to a human being. What are the benefits of AI for sales and distribution in insurance? Increased lead generation—data analytics helps insurers identify and reach potential customers. The insight derived from data analytics can drive and constantly improve the sales team’s effectiveness at generating leads. Efficient leverage for cross- and up-selling effectiveness—AI such as data analytics and VA gives insurers invaluable knowledge about their customers, making it easier to convince them to buy a comparable higher-end product (up-selling) or a product that is related to the ones they already have (cross-selling). Increased service quality—self-learning virtual advisors like Cathy interact with customers and absorb information about their needs. This valuable feedback drives personalization of products and improves the quality of services. With intelligent customer engagement, insurers can strategically deflect issues that need to be addressed from human agents to machine chatbots. They can predict why customers are calling and approach them proactively. Humans now take on the new role of knowledge engineer: they take over where the AI ends and curate the knowledge corpus over time. Leveraging AI to automate and deliver consistency across channels. When you combine human ingenuity with AI—such as data analytics, virtual assistance and machine learning—to improve the sales and distribution function, you will see results improving. AI presents the opportunity for business transformation by enabling intelligent processes in the value chain and intelligent products and services in the market. Success will depend on how well your organization can harness the combined power of technology, data and people. In my next post, I’ll look at how you can use AI to augment underwriting and service management. Get in touch to find out how you can boost your company’s sales and distribution function, as well as others within the insurance value chain, or download our report on How to boost your AIQ.